At Poynt, smart isn't limited to just your terminal. Here are all of the tools you can use to handle your business any time and anywhere. 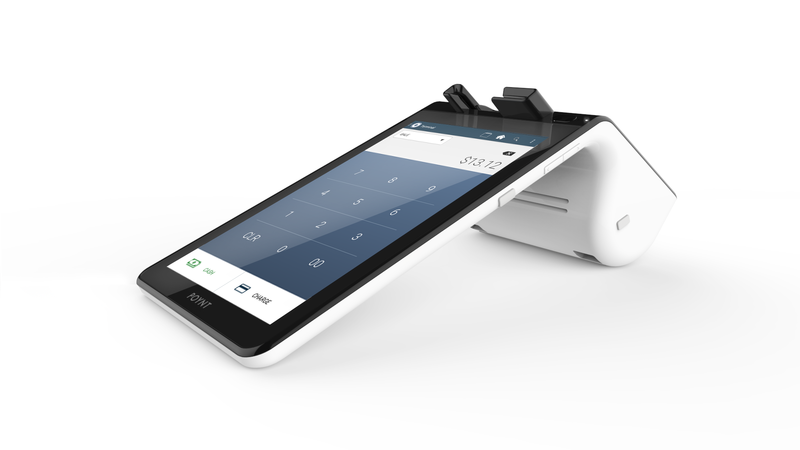 The main attraction: the Poynt Smart Terminal. Not only can you accept all types of payments on one beautiful device, your Poynt terminal comes with dynamic apps to build out product catalogs, settle, and generate reports too. The Poynt HQ Web Portal provides management and reporting tools for all of your terminals, all in one place. Sales & Reports: View dashboard and generate reports of all customer, transaction, and sales activities. Business: Manage business settings, user permissions, and terminal preferences all from the web. Products: Build out and edit your product catalog, taxes, and discounts. The Poynt Mobile App acts as a remote control for your business. Monitor your sales, refund your transactions, get business insights and alerts, and even settle-- all in the palm of your hand. Chances are if you're reading this article, you've already found it! In the Poynt Help Center you'll find tons of FAQs, tutorial videos, and articles to help you navigate your Smart Terminal efficiently and effectively. If you have any additional questions, please don't hesitate to reach out to our Support team for help (support@poynt.com).